An excellent set of eight pieces intended to be performed as a complete 'suite' but several smaller sets could easily be made out of this material. 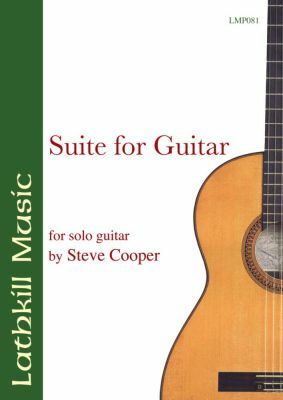 Brilliantly written for solo guitar by a composer who has an intimate knowledge of the fingerboard and has a gift for lyricism and rhythm. Titles are: Conic Hill; Skylark Song; Blue Train; Lazy Sunday; Gigue; Sirocco; Iona Sound; The Devil's Staircase.